Named after G.D. Haviland [1857-?1901], a British botanist. Shrub up to 7 m tall and 12 cm dbh. Stipules absent. 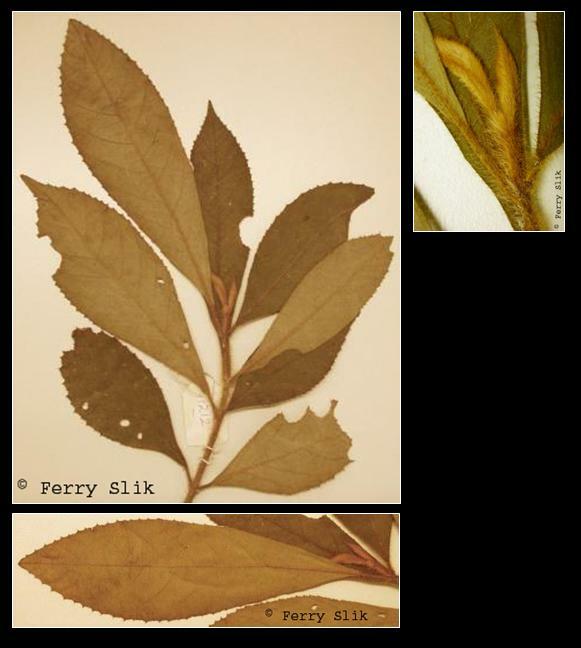 Leaves opposite, simple, penni-veined, densely hairy, leaf margin toothed. Flowers ca. 2 mm diameter, white, placed in panicles. Fruits ca. 3 mm diameter, red, drupes. In regrowth and disturbed (open sites) mixed dipterocarp and sub-montane forests up to 1800 m altitude. Often along rivers and streams.